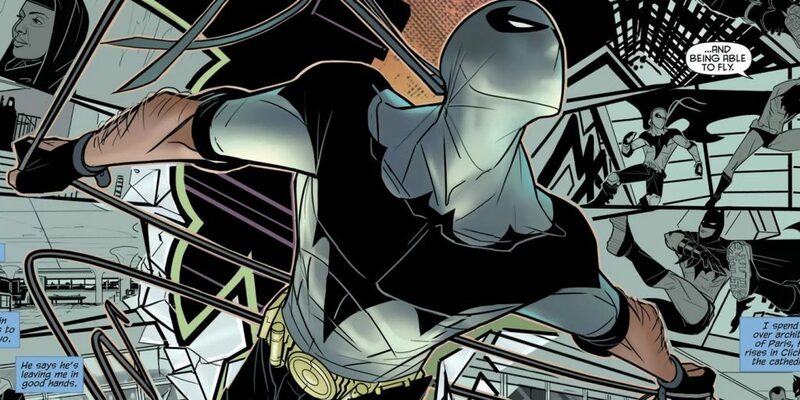 Did you know there was a Superhero whose power was parkour? Did that go over your head? 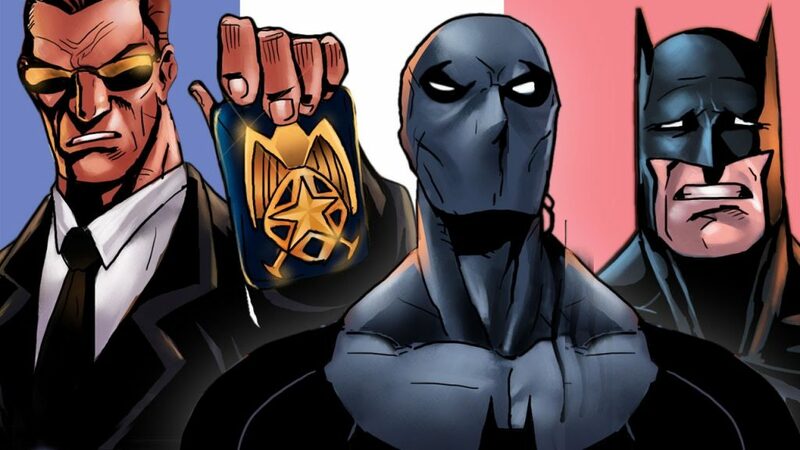 We’re talking about Nightrunner, also referred to as the Batman of Paris, and a few other nicknames I’ll go over in his research section. We have seen tons of characters now, ranging from Dragon Ball Z with Goku, Vegeta, Kale and Caulifla, to Mortal Kombat with Scorpion and Sonya Blade, all the way to our Marvel and DC characters like Superman, Bane, Captain America, Spidey, and more. BUT, this is the first character we are featuring that [in my opinion] is this unique. And by that, I mean we are specifically focusing in on parkour, which I’ll discuss more about later, but, even getting another bonus on top of that. SHJ Academy member Felix has been nice enough to work with me and write us a beginner parkour workout routine guide for me to include in this article. Nightrunner has no listed height and weight. We’ve had Superman at 6’3, and Captain America, Scorpion and Batman at 6’2, with Thor and Cyborg towering over them at 6’6, Thanos and King right there with them at 6’7, Bane at 6’8, and Deathstroke right below at 6’5. And I say “was” because Doomsday recently came in at 8’10, and I doubt any characters are touching that anytime soon. 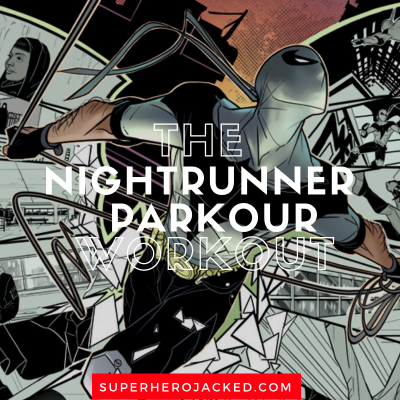 This is where I get to break down the “how” and “why” of the workout we’re going to build based on the characters, in this case Nightrunner’s, powers and/or abilities. And, if we were going off of strictly this Wikipedia page, they list his abilities section as solely including: “parkour”. Which is awesome, and I want to talk about it, but I’ll also add some more information about him for those of you who are interested. But, first, what is parkour and freerunning? Developed from military obstacle course training, parkour is running, swinging, jumping, and climbing from point A to point B in the quickest way possible. Freerunning is similar, but it emphasizes the flashy side of parkour, with fancy flips and stylistic acrobatics. It’s more like an art of movement to express your creativity with your environment. As I mentioned before, our SHJ Academy member Felix wrote us a parkour guide for this routine. I want to accentuate the fact that this is will focus more on parkour than freerunning. So keep that in mind for when you get to the actual workout routine in a bit. Switching focus over to ComicVine, we have some more abilities listed for Nightrunner that I will share. So, don’t you guys worry. Just because he’s powerless doesn’t make him any less powerful than any other heroes we’ve seen. We’ve also seen Batman, Robin and Red Hood. None of which have powers, are all affiliated with Batman (obviously Batman is…I know…), and all do amazing things. I am going to program you a bodyweight/prison styled workout routine that you can utilize 3+ days per week in conjunction with Felix’s parkour guide which you can get out there and use 2+ days per week as well. How you should roll: (example on right shoulder) get down on your left knee, put your left hand on the ground in front of your left knee, beside your right heel, then put your right hand on the left one. DO NOT CROSS YOUR FINGERS. Put your head down and roll on your shoulder, you should roll diagonally from your shoulder to the other side of your waist. Note: Start by doing them on soft surfaces like grass, when you feel more confident while doing it try to practice them from walking, jogging and running. Then start to practice dive rolls. Flow out/safety vault: as you come towards the obstacle, place your outside arm on the obstacle, then put your outside leg on the obstacle, pass your inside leg under your outside leg, release your outside arm as you push with your outside foot to pass the obstacle. Speed vault: very similar to the flow out vault except that your outside foot does not touch the obstacle, instead just kick in the air with it. Lazy vault: this one is more useful to get over a rail. Come towards the obstacle from a diagonal or parallel direction, put your inside hand on the obstacle, swing your inside leg then your outside leg in the same motion, before placing your outside hand on the obstacle. Note: the flow out vault as well as the lazy vault are two movements that you can practice without momentum. Kong vault: press with both of your hands on the obstacle, at the same time, tuck your legs on your chest to pass over the obstacle, don’t forget to raise your hips. Note: this one is the most known and most used vault in Parkour, however it is a very scary and tricky vault, so here’s a few steps you can do to break it down. Step 1: practice it on the floor, crouch and dive into a kong vault, this will get used to the movement, you could also practice with your quadrupedal movements as a warm up. Step 3: following the plant plyo keep your hand on the obstacle and go down into a squat position. Under bar: as you come towards a bar or rail, jump feet first and place your hands on the bar, swing under the bar and extend your body while arching your back. Tips: one exercise that you can do to practice it and test yourself is to find a park with bars, like a calisthenic park, put and elastic band between two poles parallel to the pull up bar, grab the bar and jump trying to pass your whole body between the elastic band and the bar, raise the elastic band as you get better. Wall run: run towards a wall, when you’re at the right distance (not to close, not to far) make a small jump at the same time plant the ball of your feet on the wall, a bit higher than hips level, push upward with your leg that is on the wall then try to reach with your arms the top of the wall. Tik Tak: Similar to the wall run, run towards the wall then jump putting your other leg (feet facing upward) then push with the leg that is on the wall, then push away from the wall transferring your momentum wherever direction you need to go. Arm jump: this one is like a long jump but you use it to grab the edge of a wall, or a bar as you jump. Note: when performing this jump your legs should land slightly before you grab the bar. as you might hurt your knees on the wall. just don’t over do it so you don’t drop kick the wall. Tips: this works for precision jump as well as arm jump, when you’re not sure if you can execute the jump as the jump might be high for example, go down and practice it from the same distance, if you can cover the distance, that means you can do it, if you can’t maybe you should wait. of course there’s always the height difference between the two objects that is important. Balance: to practice your balance, you can practice it pretty much anytime anywhere, for example you can stand on one leg as you wait for the bus then to the other leg, you can also walk on the road lines (just not in the middle of the road please) there’s literally a lot of things you can do to practice your balance. Now that you know a few movements for parkour try to find places where you can try them (bench, picnic tables, etc). This really depends on your surroundings, as you get better you will also be able to see more things you can do: this is called The Parkour Vision. For example where others might see a wall, you might see a wall run, etc.. Signing off by saying thank you Felix for taking the time to write this amazing guide for The SHJ Army!